The Incredibles 2 movie lives up to its name! Story by Anthony Addison, ShyAnn Jackson, Warren McKenzie, Angel O’Neal, and Timothy Wilson. Photos compliments of FNN Chamberlain photographer, Angel O’Neal and Google. 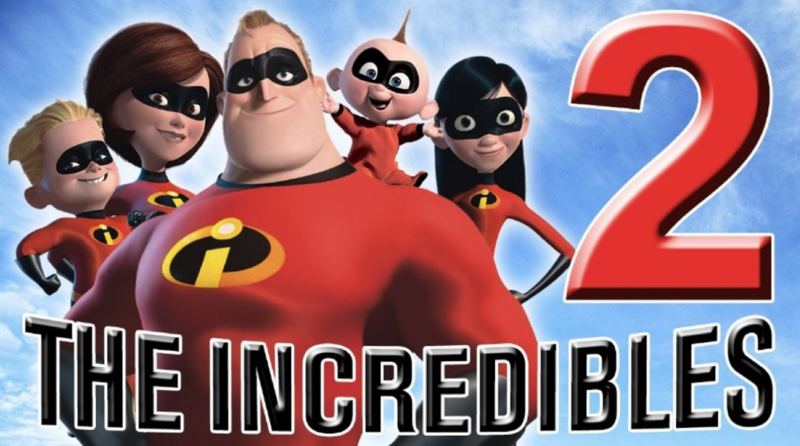 NOV. 15, 2018: The Incredibles 2 movie is about a family of superheroes that saved the world from a villain named Underminer who wanted the world under his control. Underminer had a team of bad guys like Syndrome, the Omnidroids, Mirage, Bomb Voyage, and Evelyn Deavor who tried to help him take over the world using their powers and evil creations. The Incredible fought back against the villians with some help from their friends Frozone, Edna Mode, Rick Dicker, Snug, and Winston Deavor who all had special powers to help them defeat the bad guys. Mr. and Mrs. Incredible are the leaders of this super family. Their voices are done by Craig T. Nelson and Holly Hunter. Huck Miner does the voice of Dash, one of Mr. and Mrs. Incredible’s sons. The other son, Jack is voiced by Eli Fucile and their daughter, Violet Incredible is voiced by Sarah Vowell. Chamberlain teachers Ms. Graves and Ms. Brown love The Incredibles, too. We would recommend this movie to our friends because it was an outstanding movie. When the superheroes used their superpowers to work together to stop the villains, there was a lot of action and we were excited to see what would happen next. The message of the movie was that teamwork is important. This is important for kids to know because when we work together at school or when we play sports we can do better than we could do by ourselves. Shyann Jackson and Angel O’Neal are 4th grade scholar at Friendship Chamberlain Academy. Anthony Addison, Warren McKenzie, and Timothy Wilson are 5th grade scholars at Friendship Chamberlain Academy.